What is free costing us? There is good evidence that meals eaten at home are healthier. One way we can improve the nutrition choices we make when we eat out is to avoid the pitfall of accepting the free choices that come with a meal and worse – encouraging our kids to finish them. I know I’ve had the experience of wanting only the sandwich at a restaurant, yet ordering the entire meal is actually cheaper. This comes with chips or fries and a drink that I don’t even really want, yet I end up picking a soft drink instead of a water because it is “free,” and also eating the chips that I didn’t plan to order. I heard a news clip on the radio the other day about all inclusive restaurants and how many calories we tend to consume on these trips. I think we definitely get caught trying to get our money’s worth at all you can eat buffets. The excess calories consumed and the subsequent health consequences for ourselves and for our children can be quite costly in terms of our overall health. So the next time we try to find the best value in our meals while eating out – it might be in saying no to the free extras. 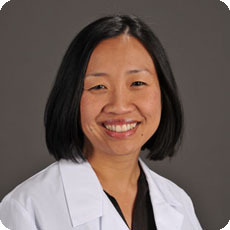 Kim Mangham, M.D., is a Cook Children's pediatrician at 1601 Keller Parkway in Keller, Texas. She earned her medical degree at University of Texas Southwestern Medical School in Dallas. She completed the pediatric residency program at University of Oklahoma Health Sciences Center in Oklahoma City. Her interests include breastfeeding education as well as disease and injury prevention. Dr. Mangham is board certified in pediatrics.